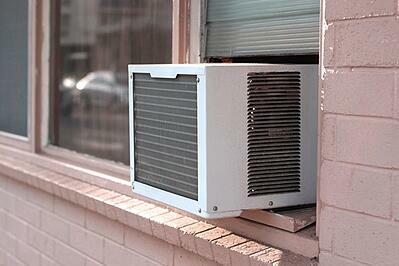 There are many benefits to making your air conditioner work at peak efficiency. For example, an air conditioner that stays in better shape and lasts longer will save you money. Here are four ways for getting your air conditioning in Westchester to hum right along. It is imperative that your air conditioner has enough space around it for air flow. To let your unit “breathe,” create 3 feet of open space around the unit. Avoid constructing decks above your air conditioner, and leave a minimum of 5 feet of space above it. This also helps air conditioner repair technicians easily access your unit. Regularly clear the area around your unit of debris such as leaves and dirt. When you mow your yard, ensure that the grass blows in the direction opposite the air conditioner. Odds are high that you have appliances such as an oven, washer and stove. Use them during times of the day when the weather is cooler. This approach keeps the extra power and heat that runs these appliances from straining your air conditioner. Have an HVAC mechanic replace the filter on your HVAC or air conditioning system about every three months. You can do this yourself too, if you feel comfortable enough. Regular filter replacement prevents particle buildup and helps ensure maximum airflow. Make an appointment for air conditioner servicing/maintenance checking in Westchester before summer arrives. An HVAC mechanic will work to blow out the lines, replace filters and check safety controls. The mechanic also inspects belts, the thermostat and refrigerants. In fact, one of the most important things a mechanic does is to check for duct leakage. Such leakage decreases the energy output of air conditioners, preventing them from creating sufficient cold air. Sealing ducts can restore a lot of efficiency to your unit. With just a few preventive steps, you can do a lot to keep your air conditioning in Westchester working well. Give your unit plenty of space to breathe, and have it checked regularly just as you would your car.